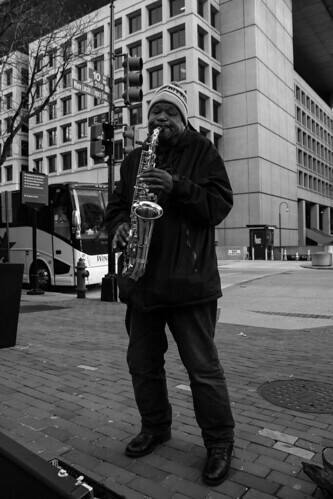 Got this picture at 10th Street in Downtown, DC. This guy was an awesome saxophone player. He was covering classics like "When the Saint Go Marching In" and "Amazing Grace". Touched a little bit of this picture up in Lightroom. Just added some clarity to it.